We are a friendly family run cleaning company. We provide window cleaning , gutter cleaning and pressure washing. You will often see us window cleaning when it is raining. This is because we use purified water, the water has been produced using reverse osmosis to filter out all impurities. This water pure water cleans without leaving residues on the glass, traditional window cleaning will leave small amounts of soap residue on the glass and therefore cause spotting when it rains. pure water allows us to clean in most weathers. We clean awaythe dirt and leave the windows spotlessly clean. We provide affordable residential Window cleaning, uPVC Gutter Cleaning services and Pressure Washing. Offering you a diverse range of high quality cleaning services that suit your cleaning requirements. Our commitment to our profession. During 2013 we entered into BIFM-apprenticeship aiming to gain Level 2 in Facility Management. In this module we demonstrated our industries knowledge. Completed and gaining this award in 2014. 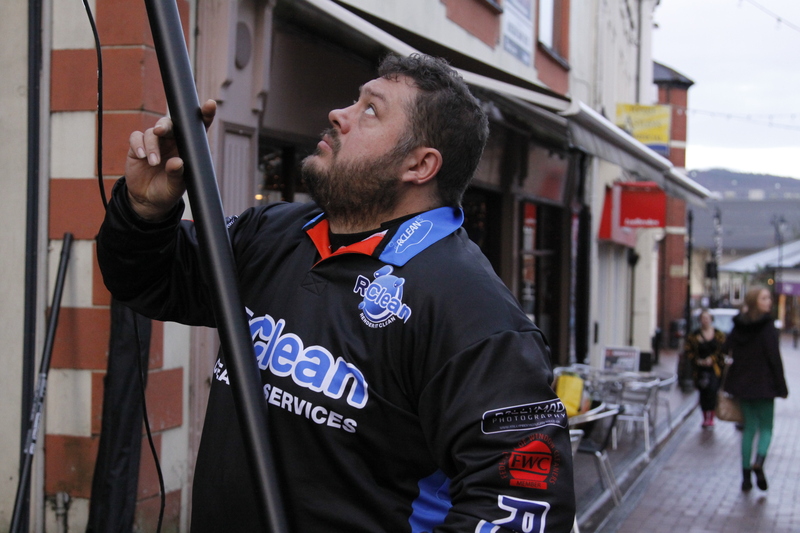 Our learning has been implemented across all of our window cleaning and cleaning services. Window cleaning provisions:-Domestic, Commercial & industrial buildings , using our High Reach System window cleaning buildings that require a safe system of window cleaning from the ground. 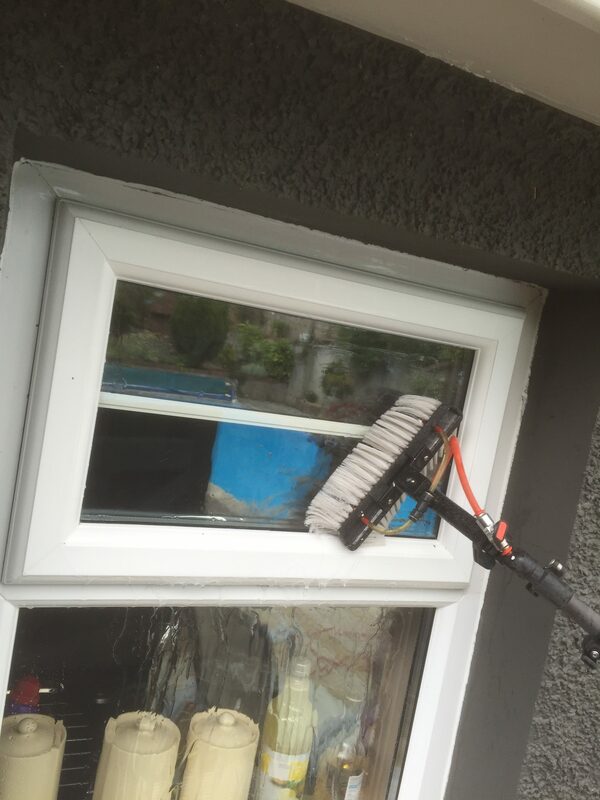 We are also fully trained in traditional cleaning of windows using a squeegee and a soap applicator to remove dirt from the glass and the use of super microfibre cloths are used to dry around the edges of the clean windows. We can also implement the use of dry cleaning for sensitive areas ideal for offices and other windows where water can not be used . 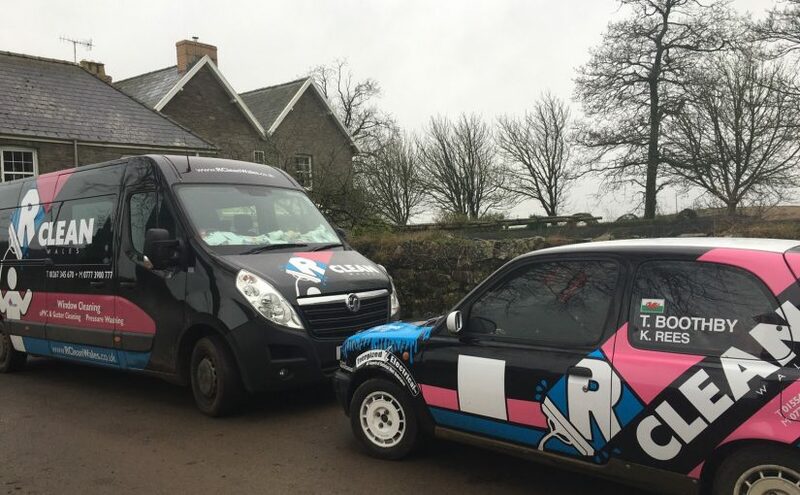 Window cleaning using purified water systems provided by Rclean Wales are delivered by our fully trained professional window cleaners. We use pure water window cleaning and traditional window cleaning methods to leave your windows sparkling bright and streak-free. We use traditional window cleaning for internal glazing, low level cleaning on shops and office windows and use High Reach window cleaning System to reach 2nd/3rd/4th/5th floor windows which is by far and away a much safer method to clean windows at height and using a chemical free solution to remove dirt from those hard to reach areas allows safe ladderless window cleaning. Domestic cleaners. We offer a domestic cleaning service in Llanelli, Ammanford, Crosshands, Burry Port, Swansea and The Gower Peninsular. We can deliver cleaning services regularly or provide deep cleaning, builders cleans. We have gained respect from many customers in the delivery of our cleaning services. Completed and passed RoSPA accredited training. We hold NCCB National core of competence benchmark recognition, this is certified by HUMAN FOCUS.Gaining 3rd year competent contractor in 2013. Continuing with a 4th year as a competent contractor again in 2014. Guttering cleaning including unblocking troughs and down pipes. Power washing driveways, paths, decking, brickwork and specialist cleaning of rendered surfaces. Carpet cleaning using our water extraction cleaning machine to remove soiling and stains from any carpeted or floor surfaces. We are fully covered by a £5 million public liability insurance. We have our specialist window cleaners available to clean your windows. . Call us for any of your cleaning needs 7 days a week. We are working hard to keep make sure we have a safer working environment. 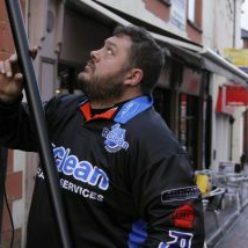 We are developing our new window cleaning website. Visit our site regularly as we will be updating frequently.